Australian country music singer and songwriter Morgan Evans released a self-titled debut studio album in March 2014, which peaked at number 20 on the ARIA Albums Chart. His 2017 single "Kiss Somebody" peaked at number 3 on the US Country Airplay chart. 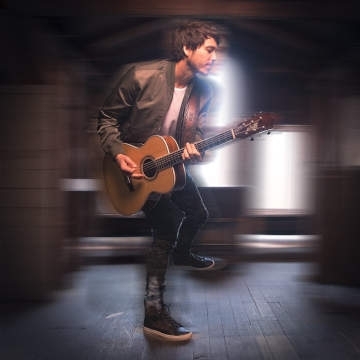 Praised by Rolling Stone as “a savvy performer with strong songwriting chops,” Australian -born rising Country artist Morgan Evans is gearing up for the release of his highly anticipated debut album, Things That We Drink To (Warner Music Nashville), due out October 12. The project features his #1 debut US single “Kiss Somebody,” as well as chart - rising follow-up “Day Drunk.” Forging a path as one of the genre’s up-and-coming stars, he has been named to People’s elite “Ones To Watch” 2018 list and spotlighted as an emerging artist by CMT, SiriusXM, Pandora, Rolling Stone, Billboard, Bobby Bones, The Tennessean and more. A bonafide Country force in Australia, he has garnered countless awards and honors, most recently claiming Country Work of the Year for “Kiss Somebody” at the 2018 APRA Music Awards.